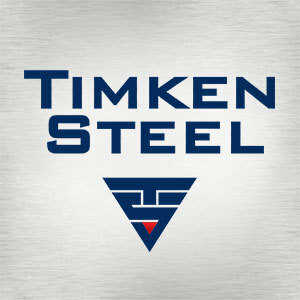 TimkenSteel creates tailored steel products and services for demanding applications, helping customers push the bounds of what’s possible within their industries. Customers rely on its high-performance products to meet their challenges. So, when it comes to sample prep and metallurgical testing, TimkenSteel doesn’t trust just anyone for the job. More than 30 years ago, TimkenSteel, formerly part of The Timken Company, noted a significant need for sample preparation and magnetic particle testing. To ensure its products were up to their customers’ high standards, TimkenSteel needed its samples for many test methods to be forged, machined and in some cases tested for material cleanliness. At the time, most companies in the area were doing metallurgical testing internally, and it was virtually unheard of to outsource this type of work. However, TimkenSteel wanted to focus more on improving its operations rather than processing 100 percent of its samples internally. The company needed a flexible partner to take on its unique, highly variable testing needs. Solmet Technologies, known at the time as Forging Specialties, was the only shop in the area prepared to meet those needs. And for more than 30 years, Solmet has served as TimkenSteel’s one-stop-shop for forging, machining and testing solutions. When a request comes in, the Solmet team starts by building a quote to get a better sense for the project requirements. Every job is different, and no matter the size or shape of the starting material provided, Solmet has the capabilities to deliver on TimkenSteel’s needs and expectations. For example, when TimkenSteel developed its jumbo bloom vertical caster, the largest of its kind in North America, it needed a way to test the caster’s 18-by-24-inch bloom cross-sections. Solmet and TimkenSteel worked together to create a process for cutting and forging the massive bloom sections down to size, so Solmet could provide the necessary testing. TimkenSteel has found a unique partner in Solmet Technologies, a relationship that has endured for more than three decades. Not only does Solmet deliver quality results at affordable prices, it also offers excellent flexibility and responsiveness, short turnaround times, professionalism and an overall focus on customer needs. Across a broad spectrum of end users and markets, TimkenSteel’s customers need the highest performing steels available, and Solmet helps make sure their products meet those challenges. Find the right partner for your machining, forging and testing needs. Contact Solmet Technologies to get started.